This podcast was recorded the day after John Coltrane's birthday. We celebrate this Giant of Jazz with some of his best compositions. Speaking of giants, we start with Giant Steps. We also hear from others that have been influenced by his music. We break from Trane's music to play a couple from Ray Charles. The Genius shares a birthday with Trane, by the way. Atla and Matt Dechamplain came to the WWUH studio to talk about their soon to be released CD. We discuss the new album, Atla’s teacher and mentor Jon Hendricks and Matt’s stride style of piano. 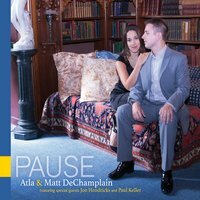 Listen to several selections from their great new album, Pause available October 2. Jazz festival season continues here in New England. We review the Northampton Jazz Fest of last weekend. Edmar Casteneda brings us a unique trio with his Columbian harp, trombone and drums. Gretchen Parlato and Lionel Loueke is a unique blend of jazz vocals and African style guitar. The Curtis Brothers bring a latin fusion to our podcast. We also hear from Greg Abate, Azar Lawrence, John Coltrane and an extended jam from Gary Bartz. Playing some music that we have heard in venues around town last week. We start with organist Brian Charette and guitarist Frank Varela. Noah Preminger had a gig at The Side Door in CT and brought along Jason Palmer, so they are represented here. 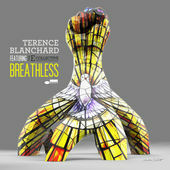 From there we crank up the energy with drummer Antonio Sanchez and Terence Blanchard. Then we settle things down with a vocal set featuring Gretchen Parlato and new music from Cecile McLorin Salvant. New Music featured here from jazz master Terence Blanchard, lesser known veteran Walt Weisskopf, and rookie on the scene Jovan Alexandre. This music covers the gamut of jazz. It includes fusion, hip hop influenced, standards and straight ahead. It all swings hard.